The founder of the Lashkar-e-Taiba (LeT) and mastermind of 26/11 Mumbai terror attacks, Hafiz Saeed is using the vulnerable Sikh community in Pakistan to push his propaganda against India especially the so called Khalistan issue. Saeed, who carries a USD 10 million bounty on his head, is reportedly conspiring with pro-Khalistan separatists based in Pakistan and is using Sikh shrines to hold conventions and to recruit " volunteers " for the Khalistan movement. According to sources, Saeed is conspiring with Gopal Singh Chawla, Secretary General of Pakistan Sikh Gurdwara Parbandhak Committee (PSGPC) and a pro-Khalistani separatist, who allowed the Milli Muslim League (MML), a political front of LeT, to organize a gathering at the Nankana Sahib gurudwara in Lahore. Saeed and Gopal Singh Chawla are known to be close and Chawal is a regular visitor to the LeT's headquarters at Muridke. Saeed and Chawla had organised the Nankana Sahib event to garner support of the Sikh community in Pakistan in the run-up to the July 2018 general elections by spewing venom against India and to stir up emotions in the name of Kashmir and Khalistan. Sources reveal that the event was attended by Milli Muslim League party president Saifullah Khalid and Hafiz Saeed. 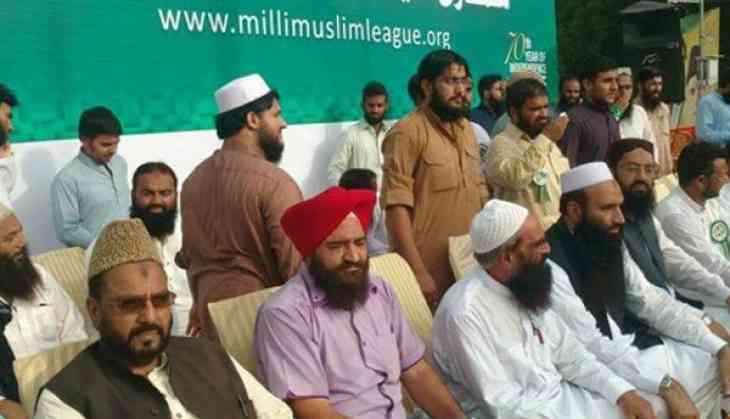 The Milli Muslim League recently opened its office in Lahore and is planning to contest general elections in Pakistan this year. It is to be recounted that it was Chawla who under the instructions of the Pakistani authorities had stopped Indian officials from entering Gurudwara Panja Sahib on April 14 (Baisakhi Day). The Indian officials had gone to meet Indian pilgrims as a standard practice to help them out with consular-related issues. On April 12, the Indian High Commission officials were also stopped from receiving or greeting Sikh pilgrims at the Wagah Railway Station, the last station in Pakistan on the Lahore-Wagah Branch Line. Terror outfits in Pakistan, who work under the patronage of Pakistani secret agencies, are using the minority Sikh community for their anti-India propaganda. However, they mistreat them and even insult the religion. Hafiz Saeed's brother-in-law and the second-in-command of terror outfit LeT and Jamaat-ud-Dawah (JuD), Abdul Rehman Makki had earlier this month used foul language against Guru Nanak Dev, the first Sikh Guru, at an event in Multan, Pakistan. Makki's remarks were an eye opener for those Sikh militants who have taken shelter in Pakistan to wage acts of terror against India in the name of the so-called Khalistan movement. Makki lashed out against the Sikh faith and had even gone to the extent of calling them "infidels ". At present just a few thousand Sikhs live in Pakistan and they continue to face persecution by Islamic fundamentalists. It is this handful who are being exploited and used by the Pakistani Terror Groups to wage the so called Khalistan Movement.